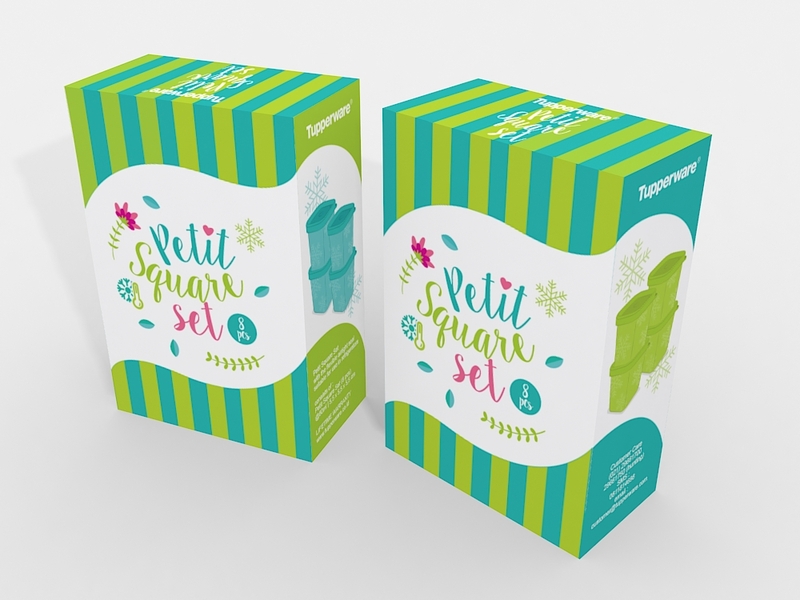 Petit Square Set it a fridge-friendly product that will keep your food/ingredient fresh for longer. Its material is designed to endure low temperature and can be flexed to help the user take out the ingredients once it's frozen. Since the actual product ( with the actual color) was not available yet during the development of the packaging, so we resort to using illustration as a way to show the product shape and color, and information. 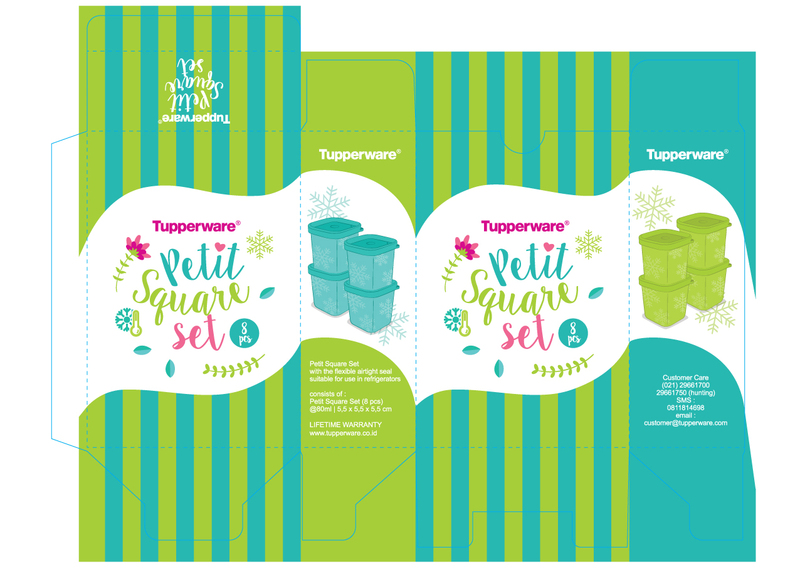 As Tupperware is known for it's bold and fresh color combination, this packaging is designed to embody what Tupperware is known for. We also add some illustration of flower and leaves to emphasize freshness and to add some color pop to the packaging design. A snowflakes icon and thermometer icon was added since this product is fridge friendly.